Collaboration is our inspiration. We work intently with each other, our artisans and our clients. We follow our instincts, get excited and combine thinking to let ideas unfold, expand and evolve.These ideas come from little things. Perhaps a shadow, a tile, a piece of folded paper. To big themes, like travel, memories and family. They also come from aiming to better what our weavers do best. Adding our unique aesthetic to their innate understanding combines their craft skills with our artistic vision. Yes, we do get all goose-bumpy when we’re crouched down on the floor for a month in India with our makers (which we do regularly!). We adore our ‘dye master’. We know our weavers’ families. And we always keep it real when it comes to production. Beyond anything, we expect the unexpected. 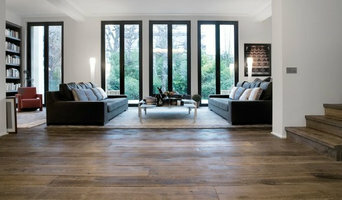 Situated in Sydney, enoak imports Luxury French Oak floors Made in France but also Handcrafted industrial style furniture. Tables and buffets made to order. After 15 years in Paris, we come to you to offer a modern and authentic choice of Oak. From Straight boards, Herringbone, Chevron or Versailles Panels. Our colours project a natural look. From the natural wood colour of Oak, we move on to a range of darker tones, through to our elegant greys, without forgetting our unique metal oak floors. enoak offers you Authenticity, Excellence and Exclusivity. Our products are eco-friendly. So… Enjoy… Be creative, be stylish but with a conscience. Australian hardwoods Specialist. timber flooring and stairs. Suppliers and installers. 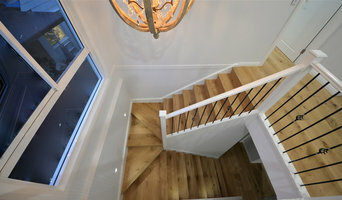 Sydney's most experienced solid timber floor and staircase specialists. Fully Licensed. 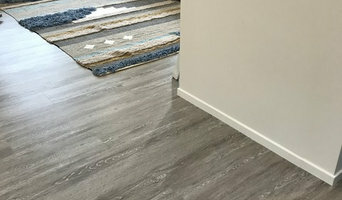 Unique timber floors, longest lasting system. New homes, renovations, commercial projects. Traditional timber flooring supplied and fitted to concrete slabs, existing flooring, particle board or plywood. 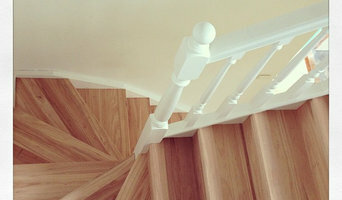 Solid timber treads and risers for staircase makeovers where old carpets are removed and existing MDF staircases are transformed into solid hardwood stairs also new solid tread fit outs. Call us to discuss you next project. Esspada Collection have been industry leaders, with a team who have over two decades of experience in providing the highest grade flooring solutions for residential and commercial establishments. As a company, Esspada Collection has prided itself in being able to deliver its customers the best value for money. Not only does Esspada Collection provide high quality timber, carpet, laminate and vinyl, it also has tailored, Australian made blinds ad shutters packages available. Esspada Collection's showroom also doubles as an art gallery with artworks by prominent Australian artists, available for sale, to add a splash of colour to any space. Come in and let the friendly and experienced staff help you to select the perfect product for your needs. We are a Flooring retail store. We supply and install Carpet, Engineered Timber, Vinyl, Laminate, Solid Timber. We have Rugs and accessories for your home. With over 25 years experience Floorlaying my knowledge of product and how it should be laid is unsurpassed. Beautiful Quality Flooring at affordable prices suited to any budget. No hidden costs just upfront fully inclusive free quotes and measures. We all like quality - and surrounding ourselves with quality items in our homes is one of life’s pleasures. SE Timber is dedicated to providing quality - from our suppliers to our installers; from a simple measure and quote for a single blind to a huge commercial installation - quality is ingrained in every aspect of every job we do. Starting in the 1970s as a suburban timber yard servicing the building industry, SE Timber expanded through the 1990s to become the largest and most experienced specialist timber flooring, shutters, blinds and carpeting company in Sydney - with 5 beautiful showrooms across town. Welcome to our world - the world of ingrained quality. 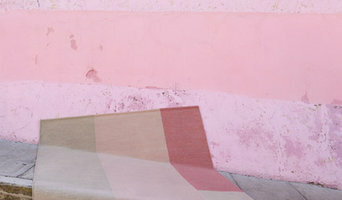 Dash & Albert Rugs are distributed in Australia and New Zealand by Winton House. Winton House was founded by Sarah Price in the summer of 2009 upon her return to Australia after living with her family in the United States for almost ten years. Sarah moved to the United States in early 2000 to support her husband who was taking up a new role with his company in the great state of Texas. Sarah and her family lived in Texas and Colorado for almost ten years and it was during this time her passion for architecture and interior design was introduced to the beautiful, stylish and traditional world of American fabrics, textiles and homewares. One of her most exciting discoveries, was Dash & Albert and it wasn’t long before a range of these fabulous rugs were adorning the floors of her home. After returning home to Australia with her family in the autumn of 2009, Sarah had a burning desire to represent quality products that she felt were uniquely American … and with that Winton House was born. Winton House’s home base is located in the historical and picturesque Southern Highlands which is just a leisurely 90 minute commute south of Sydney. Sarah is proud to represent the Dash & Albert Rug Company (Australia & New Zealand) and Golden Rabbit Enamelware (Australia) and when you speak with her you will quickly come to understand her passion and love for these unique and exciting products. Korda Design skillfully weaves the art of custom flooring with the expertise of installation. We create, produce and install Axminster carpets and hand tufted rugs and represent a quality range of vinyl and carpet tiles. With studios across Australia, the Korda Design team works one-on-one with leading architects, interior designers and end clients, providing an opportunity for design collaboration and complete flooring project management. Our commercial division consolidates the process of supplying and installing our range of flooring products. Our in-house team of layers is able to skillfully manage the installation process for a range of projects including hospitality, commercial and residential. Flooring Zone is a leading business in flooring industry based in Brookvale and serving the Northern Beaches and all Sydney metro area. We deliver the best quality flooring products and finest customer services combined with our very competitive prices. At Flooring Zone we have all your flooring needs, Engineered Flooring, Solid Timber, Bamboo, Laminate, Timber Finish Tiles, Carpet, Vinyl, and Rugs. Flooring to suit all needs and budgets, whether it is commercial or residential. Floorboards Online deliver quality timber flooring solutions for residential or retail spaces across Australia. With a huge range of products and expert advice, Floorboards Online can provide you with your flooring needs. Innovative Engineered Timber Flooring Manufacturer French Oak Flooring with an Australian Touch 100% Australian Made and Owned. High Quality Timber Floor Sanding and Polishing Services in Sydney. Call today for a free quote! ABACUS is a professional timber flooring installation and floor sanding company operating throughout the Sydney metropolitan region. We are in the timber flooring business since 1992 and have served more than 40,000 happy customers. Our services include Timber flooring, Floor Polishing, Wooden Flooring, Timber Floor Sanding etc. We are customer focused and employ trained, professional and courteous staff to ensure excellence in all our Flooring services. Experienced flooring retailers will know as much as an installer for what product is right for your Bondi home. From hardwood floors to vinyl flooring and carpet, there are nearly as many surfaces to walk on as there are home styles to build. For affordability, look towards carpet tiles and floating floors, while timber flooring and slate tiles are up the higher end. A pro can help to ensure that your Bondi, New South Wales home’s floors start off and stay in top form. What Does a Carpeting and Flooring Professional Do? Carpeting and flooring professionals help homeowners choose the correct floor covering for their project, working with them to determine things like carpet pile, stone thickness and durability, and tile size and finish. After completing the installation (which includes removal of the old flooring, if applicable, and surface prep), they may also handle follow-up maintenance: shampooing carpets, polishing wood floors, repairing cracked tile, sealing stone. Your carpeting and flooring professional might work closely with New South Wales contractors, interior designers and others in the home building and home improvement `industry. Here are some related professionals and vendors to complement the work of carpet suppliers: Interior Designers & Decorators, Design & Construction Firms, Specialty Contractors, Building Project Managers, Home Builders. What does a Flooring Installation Contractor do? Hire a Flooring Installation Contractor if your floor troubles are beyond the rug solution. From timber flooring to a laminate flooring installation, a specialist will take care of your sanding, polishing and floor covering needs. Look for a Flooring Installation contractor in Bondi based on past work and referrals - all available on Houzz. A flooring professional isn’t just about floor sanding or parquetry flooring either. Look to this professional for help with outlining your entire flooring project - from design to material for the floor coverings. For instance, if you’re after hardwood flooring, you’ll want a contractor who's just as skilled with inlay designs as he/she is with installing floor boards. Find a carpeting and flooring professional on Houzz. Narrow your search in the Professionals section of the website to Bondi, New South Wales carpeting and flooring. You can also look through Bondi, New South Wales photos to find examples of carpeting and flooring that you like, then contact the professional who worked on them.